Expertise – The only substitute to knowledge! Lets say you are given a snapshot of data as shown in Table-1. To achieve this in SQR, the crudest solution is to use a combination of BEGIN-SELECT and BEGIN-SQL. Now, lets focus on what would go in UPDATE-TABLE-2 procedure. Every row returned by the BEGIN-SELECT warrants an update on a different column in TABLE-2. A quick solution is to create an update statement for each of the columns BU, DEPTID, JOBCODE etc., and make them execute only when that value occurs in FIELD column. !...and continue to create an IF condition each for COMPANY, JOBCODE, COMPRATE etc. Any variable surrounded by square brackets “” is treated as database column in a SQL statement. To connect your Java program with Postgresql driver, add the Postgresql library jar (postgresql-jdbc3-8.2.jar or any current jar file) file in the libraries. Then the following code can be modified for your particular database and table. 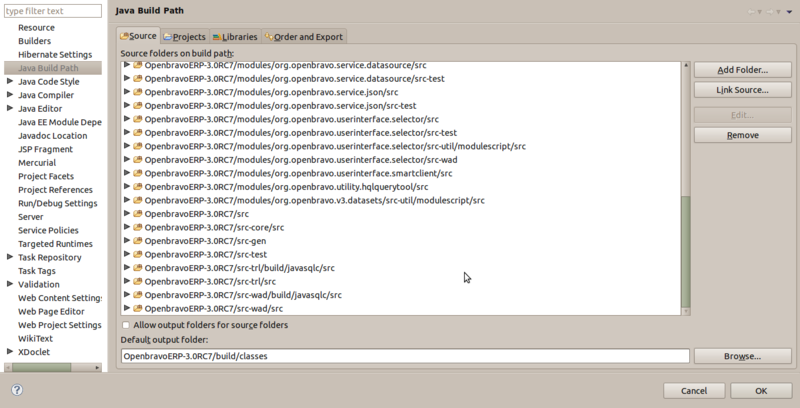 Generally callouts are present in the folder ad_callouts in org/openbravo/erpCommon in the source folder of openbravo. You can put your callout file here and then we should define a callout in our application in Application Dictionary under setup folder callout is there. Now Give a name for the callout preferably the name of your java file because the mapping class file and a auto-generated html file will be generated. You check the existing callouts for path and adjust yours accordingly. Then this defined callout should be assigned to the field where the action has to be performed. 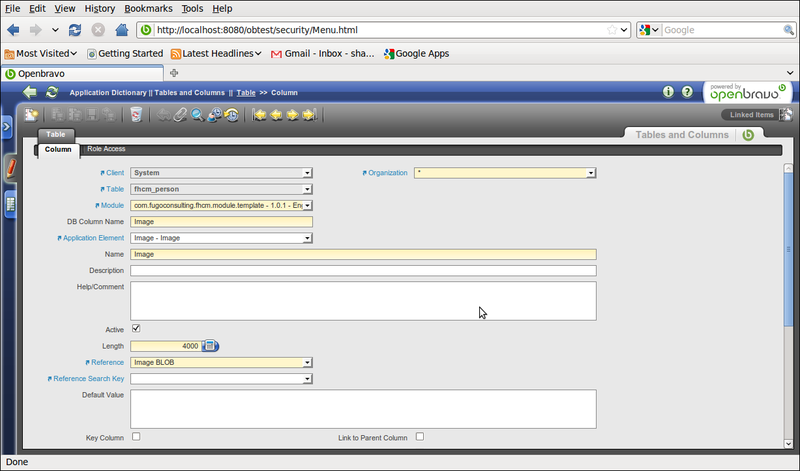 for the above example it would be the string field where email will be entered. To assign callout to a column go to tables and columns and choose the corresponding column. There will be a field called callout. Choose your name there. Compile and deploy and check your callout. To check whether your callout is called properly, u can use the empty frame at the end of each page. For that go to src/org/openbravo/erpCommon/security. There will be a file called Login_FS.Html. In line No.52 the frame ratio would be “100%,*”. Change that too “90%,20%”. This will create a empty text area at the end of every page and if that page has callout, the text “Callout response page” will be displayed. Or else if some error is displayed your path settings in callout definition has to be changed. I went through a lot of hardships, but nevertheless the result was satisfying and i wanted to bring you that. 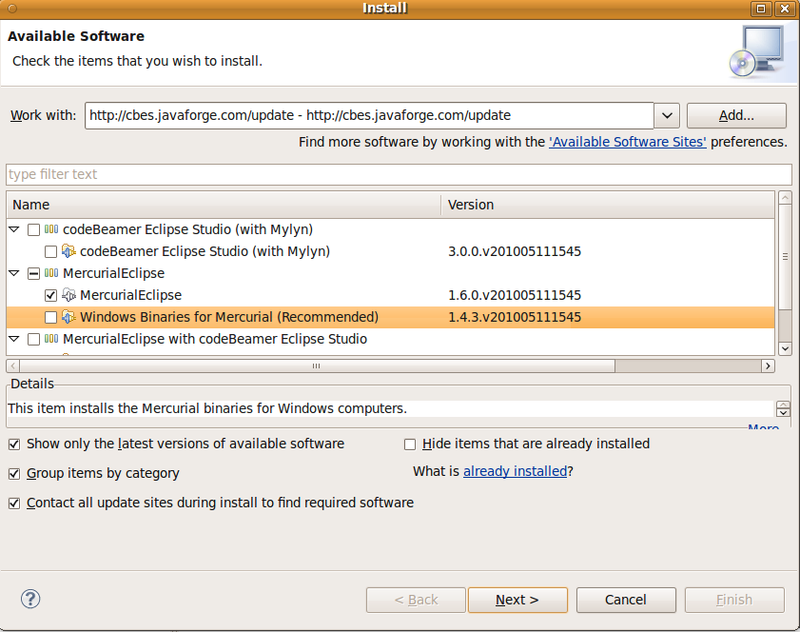 There is a Eclipse installation Manual (http://wiki.openbravo.com/wiki/ERP/2.50/Developers_Guide/Development_Environment/Setting_up_Development_Environment_with_Eclipse_IDE), but I can assure you that with that link, its bound to take you at least 2 days to complete the installation. So am I going to provide something better than what the Openbravo guys did? Na Na..:) I am just going to shrink and stay up to the point, so that you can have it up and running in a single day. 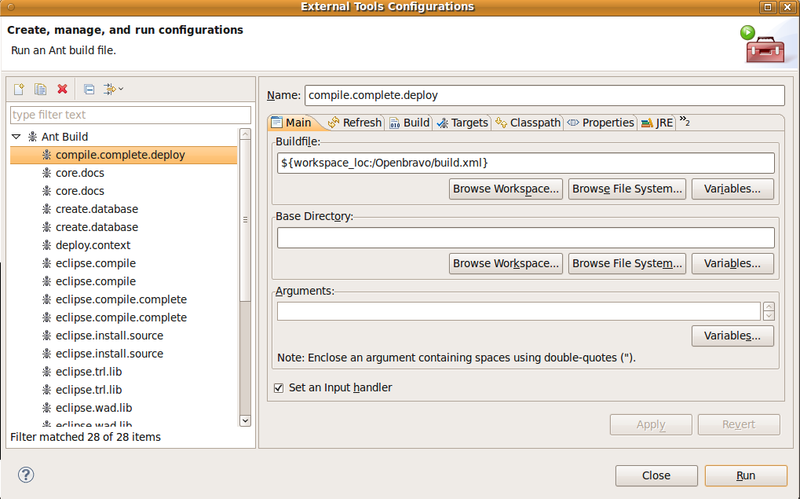 Importing Openbravo in Eclipse can be subdivided into the following sections. 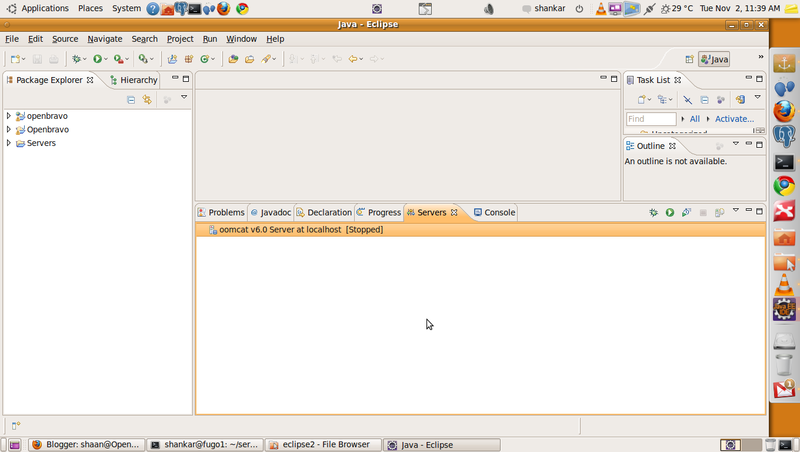 We can download eclipse from, http://www.eclipse.org/downloads/packages/release/galileo/sr2. Make sure you download the EE version so that most packages are already available. The following are the architectural elements that are needed for Openbravo to run. 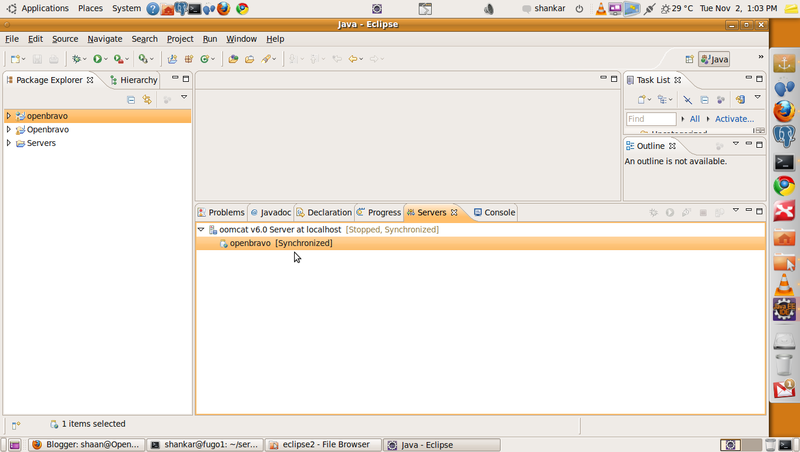 Now we have installed eclipse successfully. First hurdle crossed. Next to add the above listed elements(plugins), go to Help -> Install New Software. Here click the Add Button and provide the following link in the Location Field. http://subclipse.tigris.org/update_1.4.x. In the Name field Provide subclipse or anything for your reference. Then give Next, next and choose finish to install it. Once this is complete eclipse will be restarted. Next lets install Mercurial. For this Use the same Install New Software under Help and use the Add Button to add the Following URL in the Location Field, http://subclipse.tigris.org/update_1.4.x . Once you provide that, you will get a window similar to that. If you are installing in ubuntu you can uncheck the windows binaries. Then click next and give finish. The same is to be followed for installing Openarchitectureware, using the following URL, http://www.openarchitectureware.org/updatesite/milestone/site.xml. Once Eclipse is installed, our next step is to import Openbravo. Go to File -> New -> Other and in the window that pops out choose Mercurial and the sub option as Clone from Existing Repository. Provide the URL from which you want to clone. If there is no repository, use File -> Import and choose the source folder of Openbravo. 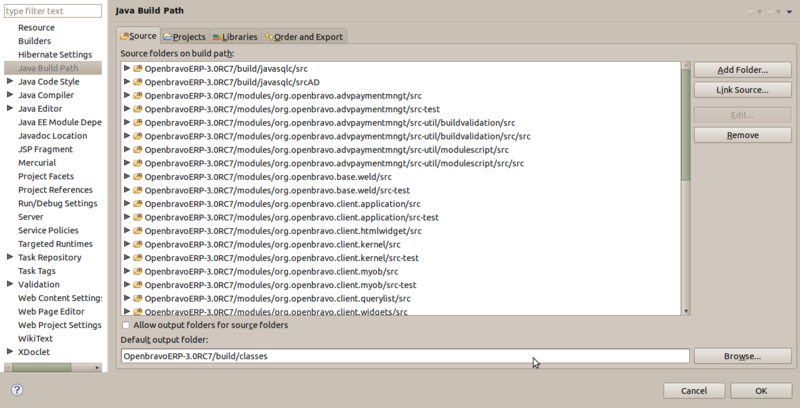 Then right click the Project folder and choose Properties. In the source tab add the following folders. Add the following libraries in the library tab. Refresh the project. Next step is to compile this application. 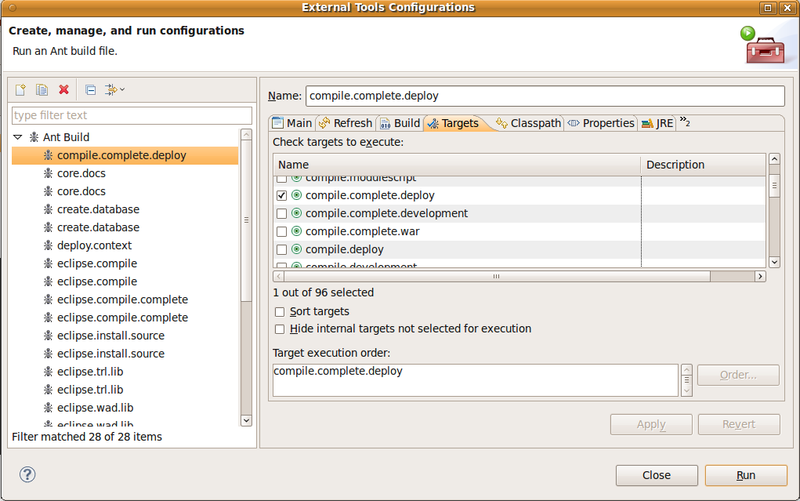 To add ant commands go to Run-> External Tools -> External Tools Configurations. Then double click, “Ant Build” and then you can find a screen as follows. To add tomcat 6.-0 server, go to File -> New -> Other and choose tomcat 6.0 as the server and map the corresponding tomcat folder. And then add openbravo to it and give finish. The eclipse would now appear as follows. A picture speaks thousand words. 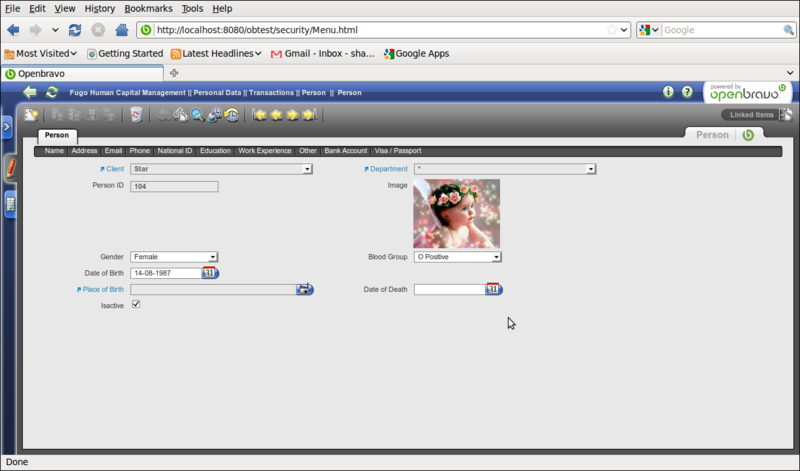 Images are one of the key features of any ERP System. Specially in a feature rich application like Openbravo, images would add more beauty to the window..:) Openbravo provides a table called ad_image that saved image in the form of binary data or in the form of URL. Now in general when you want the reference data from some other table in Openbravo, we use the tabledir to provide direct table mapping or table reference to reference data. For basics on References, refer here. Also for creating external references, refer  and . But in the case of ad_image table if you reference it as tabledir, it just comes as a dropdown as attached below. All of us depend on backup most of the time. That’s one side-effect of innovative product development. Sometimes when our imagination unfolds in the form of thousands of ideas, the first thing that suffers is the application coz its new for it and the last thing is you got to restore it..:) Sometimes we do development in one environment and recreate the environment elsewhere. I will present how I did it for Openbravo in ubuntu. 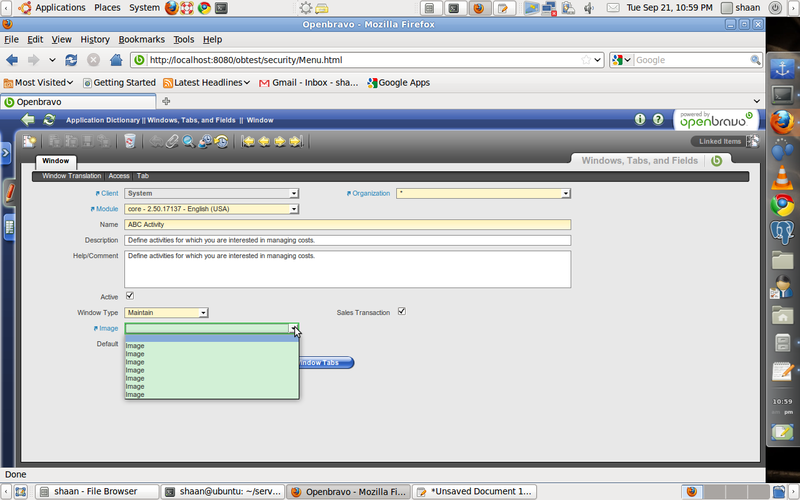 Openbravo in ubuntu has two parts. One if the folder structure and the other of course is the database. I use postgres as database because of the simple reason that its free. So the first step is i need a backup or a dump of the database. If you have pgadmin installed this is a easier task. Just right click on your database, and choose backup. In the options that present before you, choose the plain option. This option is to create a backup in plain text format that you can see. You can almost sense whats there in that dump with the plain format backup. “pg_dump -U postgres dbname > nameofbackupfile” for more doubts in this, visit this link http://www.postgresql.org/docs/8.1/static/app-pgdump.html. “psql -U postgres -d newdb_name -f path_of_backupfile“. Note that you need to create an empty database before restoring into that..:) i forgot his once, so only added this. Next thing there is option restore in Pgadmin but sadly that does not work for plain type database dump that we took. Its quite a tedious task in Openbravo to find a table associated with a window and to find the window , tab and menu for a given table. I have written a small function to provide the window name and menu names given a table name. provide the table name as argument for the function and run it in pgadmin using select.